Need Money for School? Find Out about Financial Aid Opportunities! Need money for school? You could be eligible to receive federal and institutional grants and scholarships to help pay for your college education. Come to this workshop to find out about the Free Application for Federal Student Aid (FAFSA), UH System Common Scholarship Application including important deadlines, and documents needed to make the application process smooth and easy. 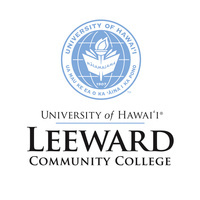 Presented by Leeward CC's Financial Aid Officers. When I was in college, I had a lot of good experiences, but there were also a lot of difficulties that you encounter only in the learning process. They can not be predicted or somehow prepared for this. All you can do is to withstand the load that falls on you like a snowball. We were asked a lot of essays, but I don’t know how to write at all. That is why I used a great service https://essayexplorer.com/review/paperial/ which helped me find the exact platform I was perfect for. The site has all the necessary information about paperial writers and prices.